As a cardiothoracic surgeon, I operate on the heart and specialize in the surgical management of heart disease. This is what people think of as open-heart surgery, where we use a heart and lung machine to stop the heart’s activity so we can work on it. The surgery I perform most often is coronary artery bypass grafting, this involves taking veins from the leg, or an artery from under the breastbone or arms, and using it to reroute the blood around blocked arteries of the heart. I also often perform surgery to repair or replace heart valves that are not working properly. My family and I have made a home in Jackson and are actively involved in our community. It is my privilege to care for the hearts of our friends and neighbors. Heart surgery takes much more than a heart surgeon performing an operation; it takes a dedicated team, integrally working together as partners, helping people prepare for and recover from an open-heart procedure. Our team begins with the cardiologists and their support teams, includes our office support staff, and moves into the hospital with our physician assistants and nurses. In the operating room, there are usually 10 or more team members working to get the patient safely through open-heart surgery. 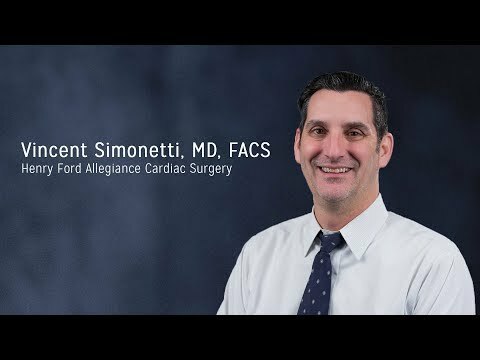 We have built a wonderful team at Henry Ford Allegiance Health, and I am honored to be a part of it.